No matter the problem, I feel like cream puffs are always the solution. With February firmly behind me I was really looking forward to a new month not riddled with medical issues for both me and my family. We did not get off to an encouraging start, with my husband battling a hacking cough and my beagle needing an emergency visit to the vet. (Both the beagle and the husband are on the mend, and I am ignoring that persistent tickle in my throat because I am not even going to think about getting sick. Just not going to happen.) To take my mind off my troubles I decided to do what I do best – Bake! 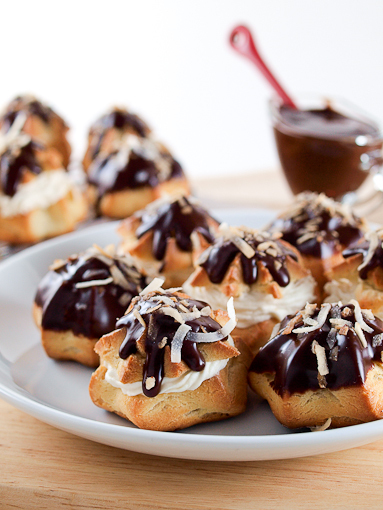 The idea of cream puffs came from my Twitter friend Sarah who suggested them. That was all the encouragement I needed. Of course, I started plotting and my idea for simple cream puffs transformed into cream puffs flavored with coconut milk and filled with a light, fluffy toasted coconut filling! When it comes to escapist baking I don’t pull any punches! The subtle and slightly sweet flavor of coconut milk is the secret to these little puffs. 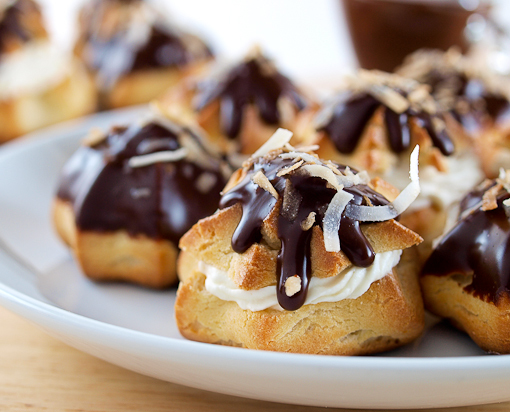 In both the filling and the choux paste cows milk is replaced with coconut milk. The flavor is not overpowering like coconut treats made with coconut extract tend to be. These puffs have a mild coconut flavor and a nutty aroma. Because I felt like it, I added a shiny chocolate glaze to these puffs. 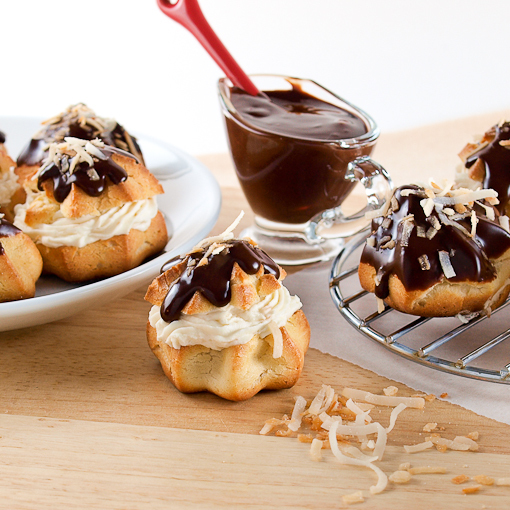 The slightly bitter flavor of the chocolate balances well with the sweet coconut puffs. These can be the night before you plan to serve them, just store them loosely covered in the refrigerator and allow them to sit at room temperature for about 10 minutes before serving. I would not make these more than a day ahead otherwise they get a little soggy … they will likely disappear before then anyway! 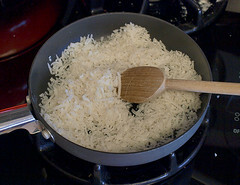 In a medium skillet over medium-low heat add the coconut. 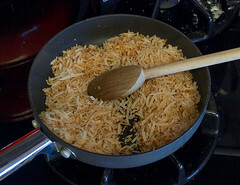 Stirring constantly, cook the coconut until it is golden brown, about 10 minutes. Keep an eye one it, it can go from golden to scorched in mere seconds. 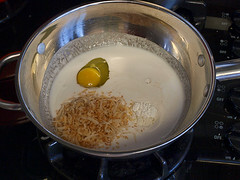 In a medium sauce pan combine 1/2 cup of the toasted coconut, along with the coconut milk, sugar, cornstarch, salt, and egg. Whisk until smooth then cook over medium heat, stirring constantly, until the mixture comes to a boil and thickens, about 8 minutes. 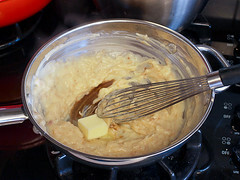 Turn off the heat and add the butter and 1/2 teaspoon of the vanilla and whisk until the butter is melted. Transfer the mixture to a small bowl, place a sheet of plastic wrap directly on the custard and chill until cool, about 1 hour in the refrigerator. Heat the oven to 375 F and line a baking sheet with parchment paper. 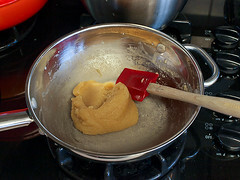 While the custard base chills prepare the choux paste. In a medium sauce pan over medium heat combine the coconut milk, butter, salt, vanilla bean paste, and brown sugar. Bring to a boil, stirring constantly, then add the flour all at once and cook until the mixture forms a smooth ball and leaves a light film on the bottom of the pan, about three minutes. 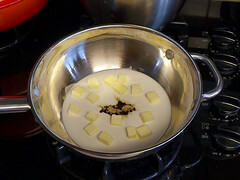 Transfer the mixture to the bowl of a stand mixer, or a large bowl if using a hand mixer, and allow to cool for 5 minutes. Once cooled begin beating the mixture on low speed and add the eggs, one at a time, making sure the first egg is fully incorporated before adding the second. Transfer the mixture to a piping bag fitted with a large tip. I used a #9 star tube. Pipe the paste onto the prepared baking sheet about 2 inches apart. If you find the tops of the puffs are very pointy just dampen your finger with water and tamp them down gently. 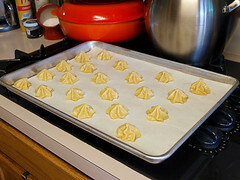 Bake for 18 to 22 minutes, or until the puffs are deeply golden brown all over and sound hollow when gently tapped on the bottom. Remove the pan from the oven and allow to cool to room temperature. While the puffs cool finish the filling. In a small microwave safe bowl combine the gelatin and water. Allow to stand for 10 minutes then heat for 6 to 10 seconds in the microwave, or until the mixture is just melted. Cool for 5 minutes. 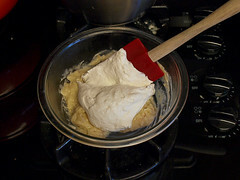 In the bowl of a stand mixer, or in a large bowl with a hand mixer, add the cream, powdered sugar, and remaining vanilla. 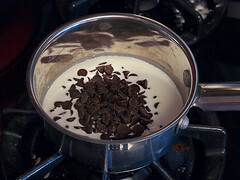 Beat the cream until it starts to thicken then add the melted gelatin and whip until the cream forms soft peaks. Fold the whipped cream into the coconut base in three additions. Cover and chill for one hour. 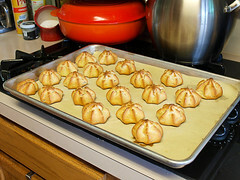 Once chilled fill the cooled puffs with the coconut filling. You can either use a small star tip to pipe the filling into the bottoms of the puffs, or you can slice the tops of the puffs, pipe in the filling, and then put the tops back on. Once filled prepare the glaze. Heat the cream over medium heat until it simmers. 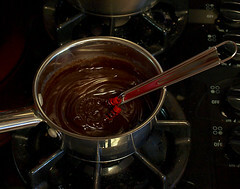 Once it begins to gently bubble turn off the heat and add the chocolate and corn syrup. Allow to stand for 1 minute then whisk until smooth. Cool for 10 minute before dipping or drizzling over the puffs. 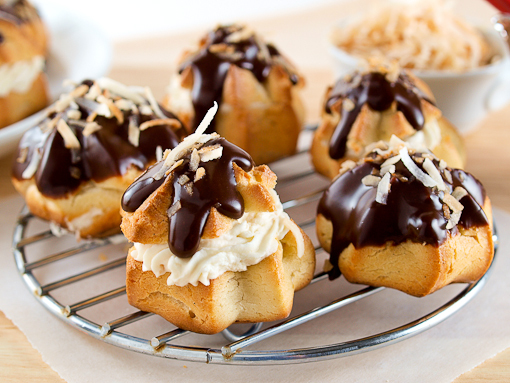 Garnish the tops of the puffs with the reserved toasted coconut. Enjoy!